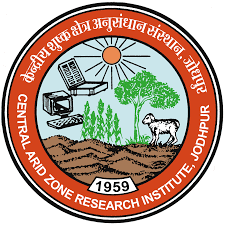 ICAR - Central Arid Zone Research Institute has published Advertisement for below mentioned Posts 2018. Other details like age limit, educational qualification, selection process, application fee and how to apply are given below. Educational Qualification: (i) Essential:- (i) M.Sc. Agricultural Sciences (Agronomy/Soil Sciences/Plant Breeding) or M,Tech. Soil & Water Conservations Engineering/Biotechnology or(ii) M.Sc. Basic Sciences(Botany/Biotechnology)having NET qualification or 2 years experience in related field (ii) Desirable:- Good working knowledge of computer and field works.